This weekend will be a big weekend for Tennessee’s football team on the recruiting trail. They’re expected to have a ton of prospects visiting for a Junior Day event on Saturday, and the visitor list just keeps growing. 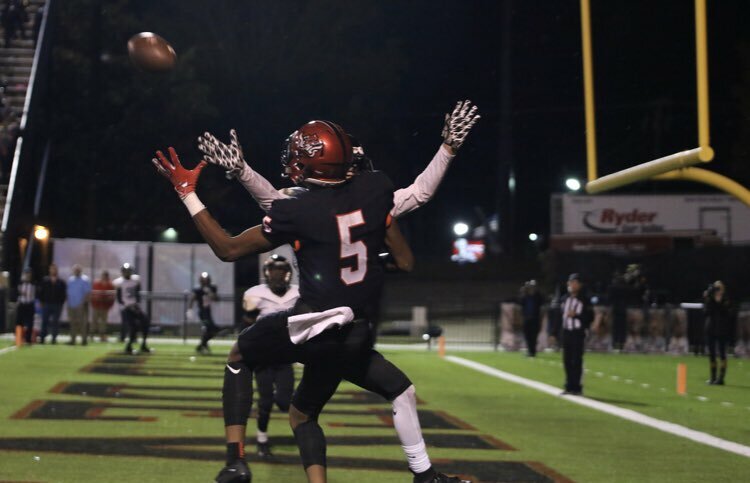 One four-star receiver has already made his intentions to visit known, and now another four-star wideout is planning on coming to Knoxville this weekend. E.J. Williams is a four-star wide receiver from Phoenix City, Alabama. He plays for Central High School, and he’s been on Tennessee’s radar for months. On Monday night, he tweeted out that he’s planning on visiting the Vols this upcoming weekend. According to the 247Sports Composite rankings, Williams is the No. 166 overall prospect and No. 28 wide receiver in the 2020 class. He’s also the No. 6 player in the state of Alabama in those rankings. The 6-foot-3, 183-pound receiver recently tweeted out his top 12, and he included the Vols in that list. Williams holds offers from Clemson, Alabama, Georgia, Auburn, Texas A&M, Oregon, Florida, LSU, Florida State, and others. You can get all of our in-depth analysis and exclusive content about Tennessee recruiting by becoming a member of RTI Premium today! Tennessee extended an offer to Williams back in late November, and he’s added a slew of offers since then. He’s also already visited the campuses of Clemson, Alabama, Georgia, and Auburn. Williams doesn’t have blazing speed, but he’s fast enough to make a difference. He has a great catch radius and can make some very difficult receptions look like they’re nothing. His route running is actually pretty good, especially for a high school junior. He’s effective on post routes, streaks, and slants. Williams is dangerous in the red zone and is a bad match-up for cornerbacks when he runs a fade route or slant into the end zone. As a junior for Central, Williams totaled 40 catches for 688 yards and nine touchdowns. He helped his team to an undefeated record and a state title in 7A. Tennessee will likely take two or three wide receivers in their 2020 class, and Williams figures to be one of their top targets at the position. The Vols are losing several receivers because of graduation after the 2019 season, so they need to use this class as a way to bolster their numbers moving forward. The list of visitors for this upcoming weekend continues to grow, and we will update as more info becomes available.